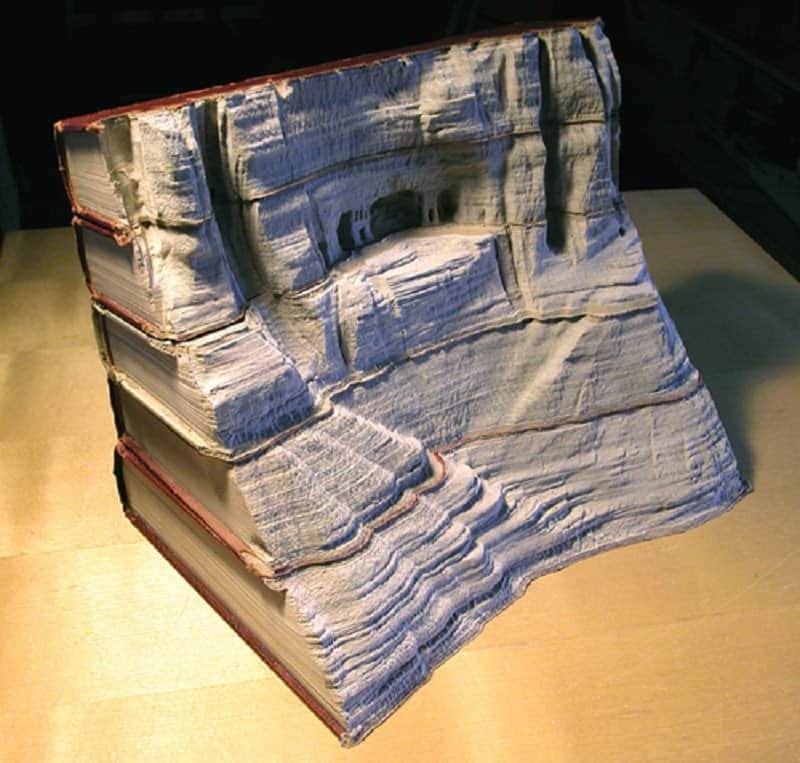 A deep and detailed cave has been carved into this book by a master artist. 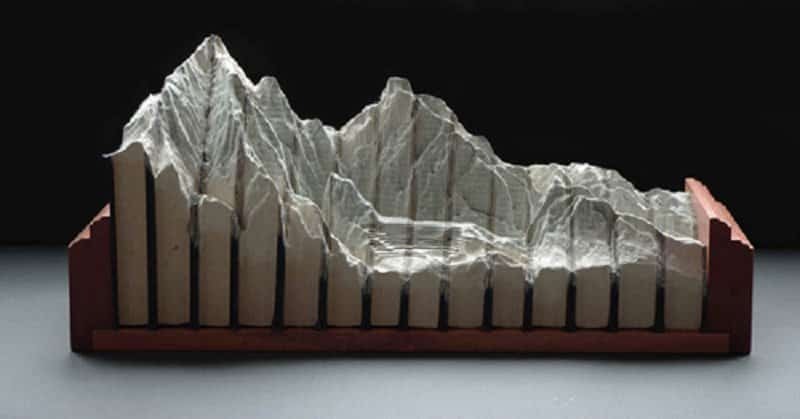 The amount of detail put into this pieces is astonishing, carefully cutting the pages at the right height to create a mountain range! 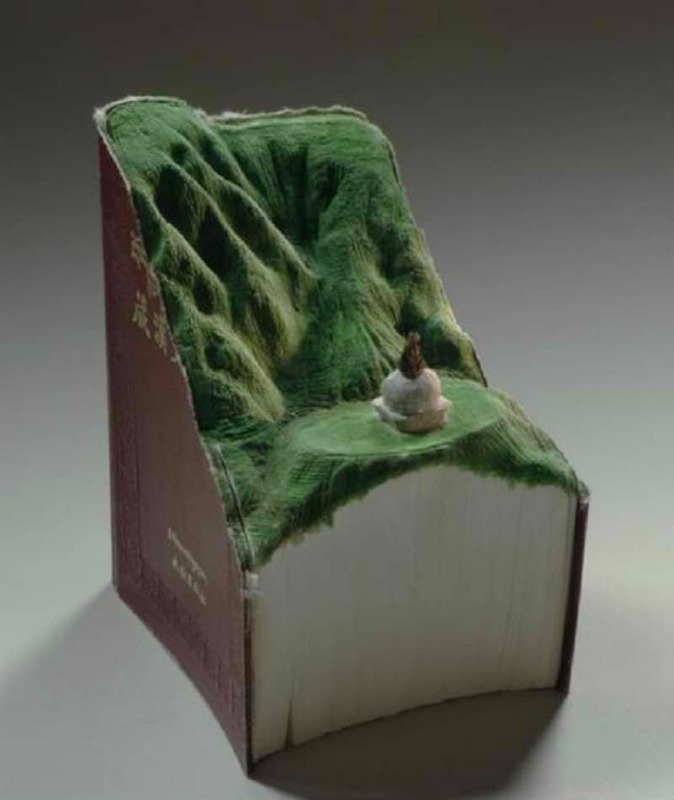 The Volcano and the surrounding landscape carved into this book are absolutely spot on. 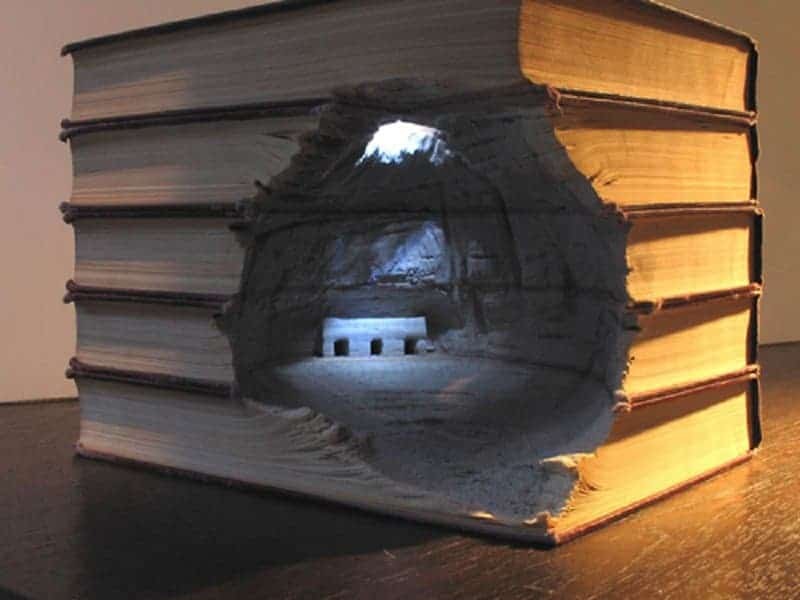 Many civilizations in South America used to live in homes carved into cave walls just like this striking piece. 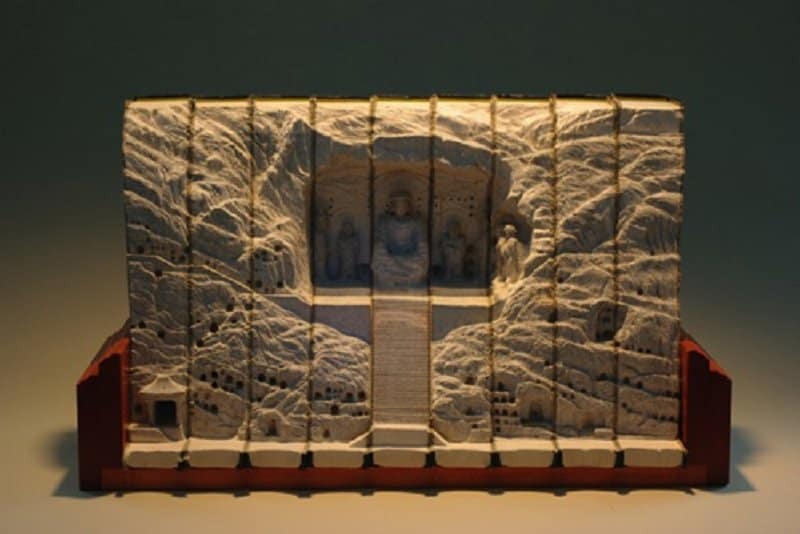 A beautiful temple and surrounding cave walls have been carved into a set of books. 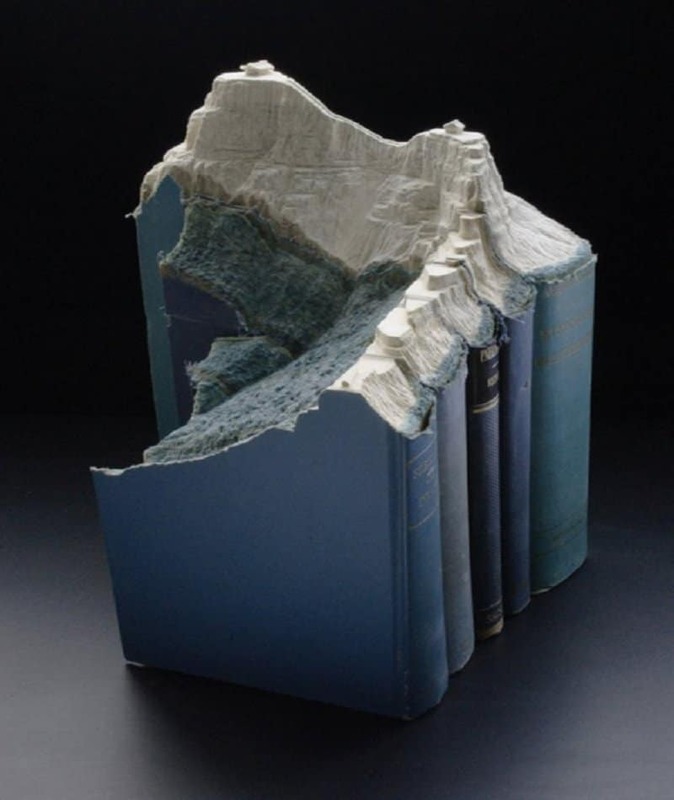 Some intricate carvings and a hint of color has transformed this enormous book into a beautiful hillside landscape. 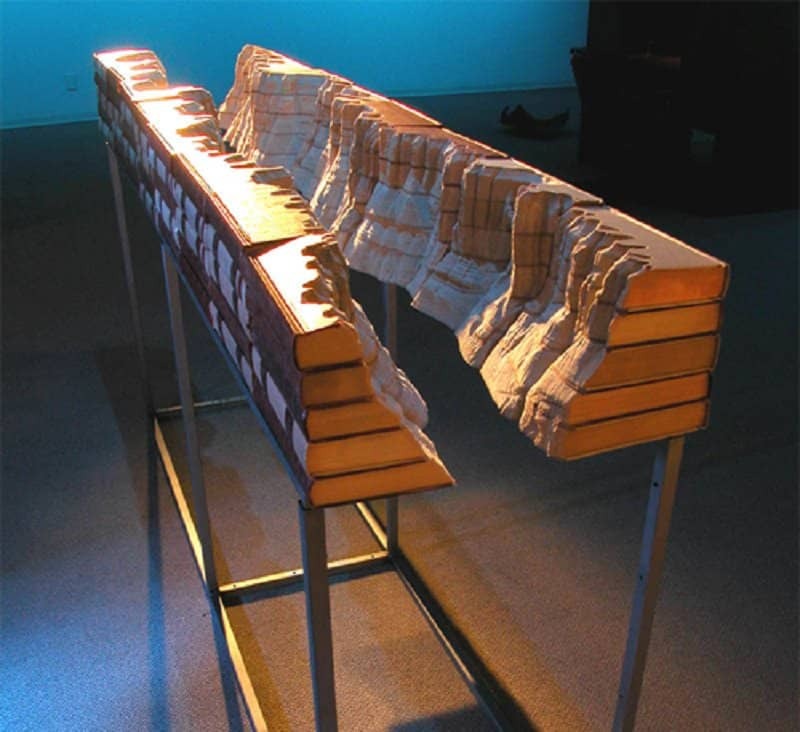 This realistic depiction of a canyon has been made possible using a large set of books. 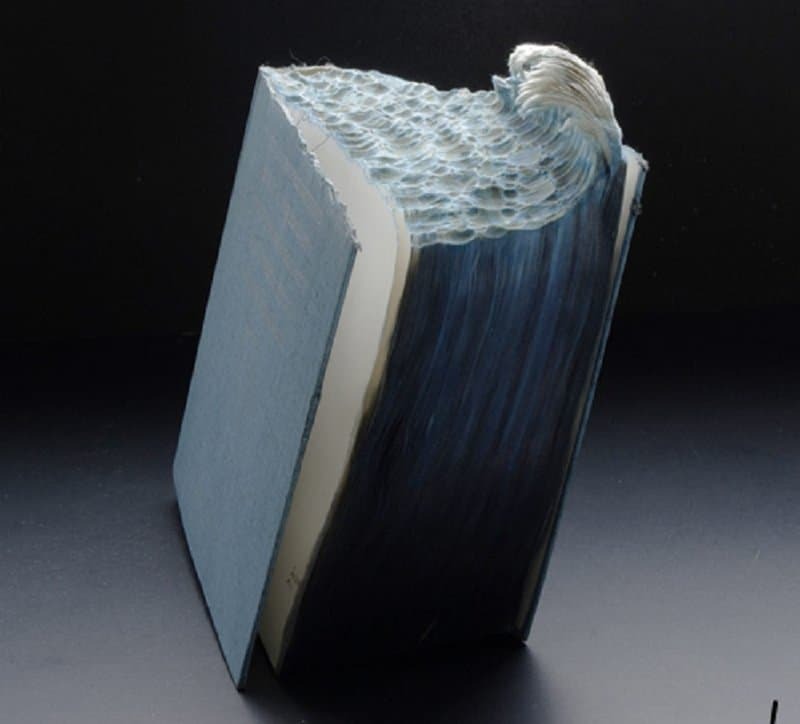 The color and shape of this wave formation is extremely well-done in this carving. 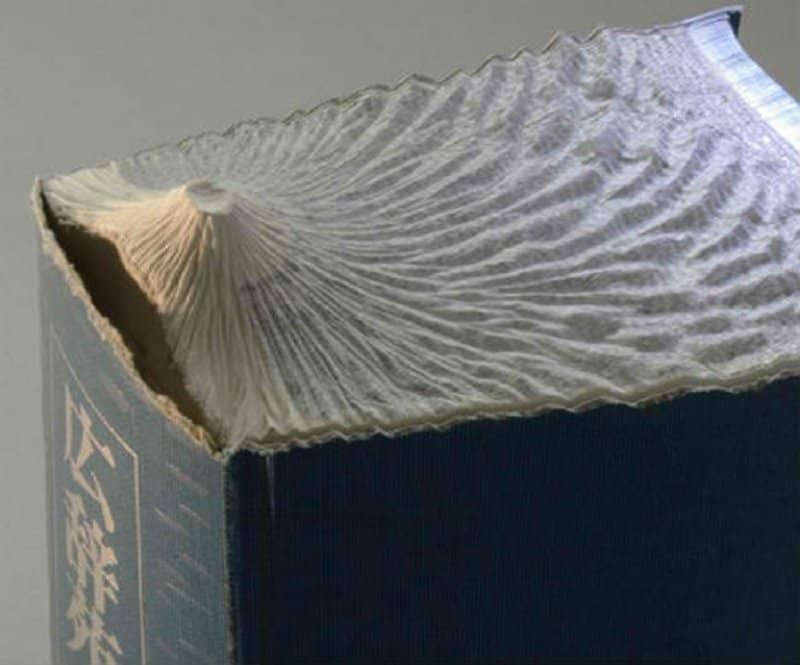 A beautiful mountain range has been carved into these books. 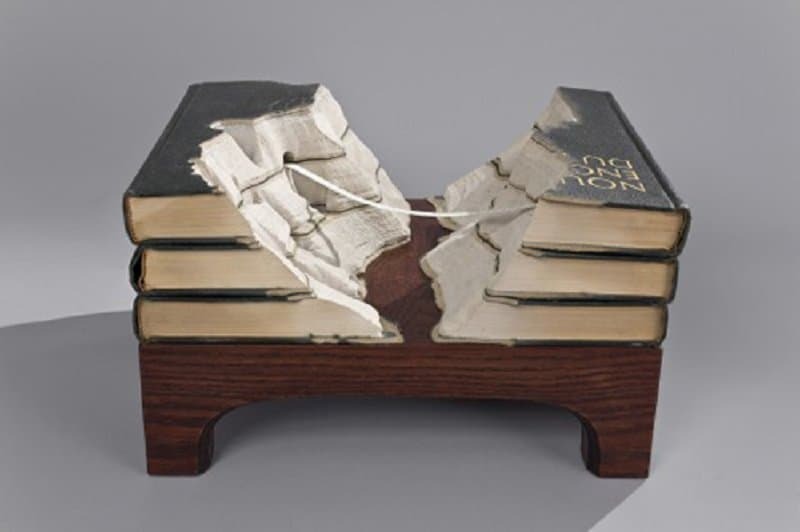 A gorge and a narrow bridge have been intricately etched out of these books.